WASHINGTON — The president of Afghanistan told a U.S. audience Monday that his country is not losing the war to the Taliban and is not at risk of collapse amid escalating attacks by the militant group and an expansion of the territory it controls. "The Taliban are not in a winning position," Ghani said by video to an audience at the School of Advanced International Studies at Johns Hopkins University in Washington as a suicide bombing in Kabul and a deadly militant assault on districts in eastern Afghanistan suggested government control was slipping further. "In the same period, 28,529 of our security forces have lost their lives and become martyrs," he said. On Oct. 30, Defense Secretary Jim Mattis said Afghan forces had more than 1,000 dead and wounded during August and September alone, "and they stayed in the field fighting." On the sensitive topic of the U.S. role in talks, Ghani said there was "total agreement" between the U.S. and Afghan governments on moving the peace process forward. "U.S. engagement is to ensure that talks with the Taliban result not in negotiations with Taliban but with talks, direct talks, between the Afghan government and the Taliban," he said. He insisted that the Afghan government was seeking a negotiated peace but would not do so "from a position of weakness." In a possible sign of America's efforts, Pakistan released two Taliban officials on Monday, members of the militant group said. Abdul Samad Sani, a U.S.-designated terrorist who served as the Afghan Central Bank governor during the militants' rule in the late 1990s, and a lower-ranking commander named Salahuddin, were freed, according to two Taliban officials who spoke on condition of anonymity because they were not authorized to brief media. 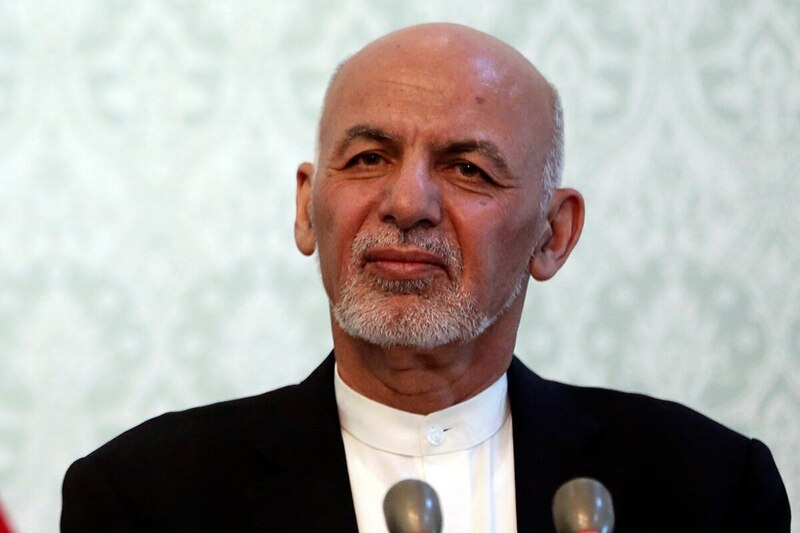 Ghani, however, said Pakistan has yet to demonstrate a "sense of urgency" in seeking an end to the Afghan conflict and a change in its policies.